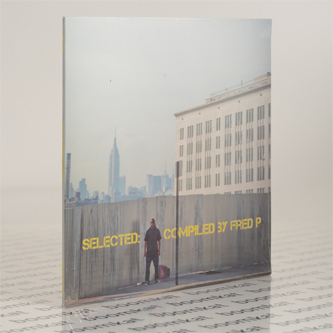 "Fred P pulls together material from mostly unfamiliar names like DeepJust AQuaBeaT, Bassik Grooove and Bobby O'Donnell, alongside a couple of established heads like Ryo Murakami, Aybee (as Orion 70) and Fred P himself, whose "N.Y. (Selected Dub)," a reshape of an old jazz tune, rounds out the compilation. "In the early days it was difficult to afford more than one or two records...I would buy compilations because the value was greater and I was exposed to artist that I might not have known about otherwise," he says. "When I think of compilations I think of Mix The Vibe, Soul Of Science, Trust The DJ and of course DJ-Kicks. I learned a great deal from these series over the years and developed my own ideas based on what I love to hea,thus Selected was born."